These cranes migrate through central Nebraska (and other locations) every year, spending the night on sandbars in the Platte River and venturing away from the river during the day. 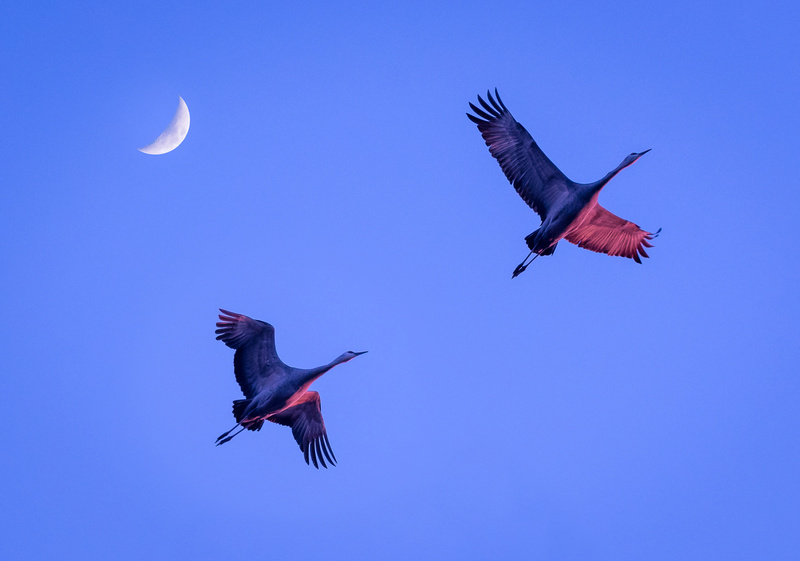 This composite capture was as daylight was fading, and required focus-stacking the cranes in flight along with the moon. Thanks. Shot hundreds of frames during the twilight hour as the cranes passed over the house I was staying at. Thanks very much! This was one of those rare moments we get as photographers when the light and setting are just right to capture the feeling along with the image.